Back in April, the news of fashion designer Jeremy Scott working with fast fashion retailer H&M on a Moschino collaboration surfaced. With the collection scheduled to hit select H&M stores worldwide on November 8, the designer now offers a sneak peek at the upcoming releases. To everyone’s surprise two stylish pet looks were also teased as part of his collab. 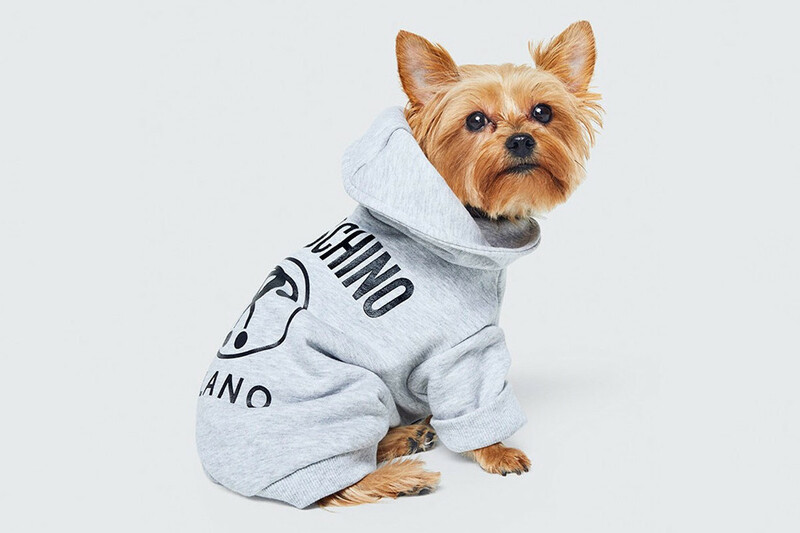 In the preview imagery, we see a Yorkshire Terrier modelling a hoodie printed with Scott’s signature graphic, as well as a grey sweater emblazoned with Moschino’s logo at the back. Now to add on the pet-sized apparel, the collaboration will also feature a capsule in partnership with Disney. “At first, H&M asked if I would do a kids component for the collections, as I have both my own Jeremy Scott kids line as well as a Moschino one,” the designer told Vogue.